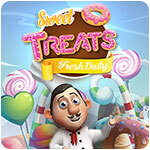 Sweet Treats - Download and Play Free Version! 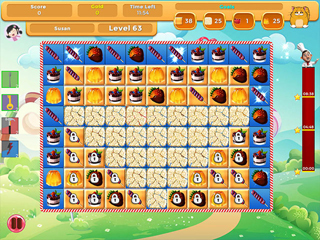 Enjoy a wonderful pastry themed match 3 adventure! Start your journey as a young Junior Chef and work your way up to a Master Chef by completing match 3 puzzles and earning stars. 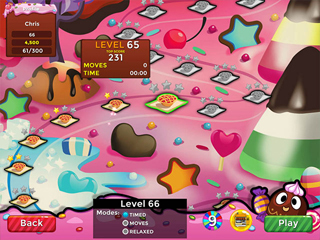 This game features high quality art that will surely get your taste buds watering as you play through 100 levels of various challenging match 3 levels. Build your shop up with a wide variety of tasty treats that show off your skills as a pastry chef. Play in limited time or moves mode to earn stars for your ranking. Or play in relaxed mode for an easy to play, fun time.